Janice Lee is a spark. She’s a singer-songwriter, poet, actor, storyteller and organizer whose impact on the Kitchener-Waterloo community has been enormous. Lee’s contagious energy ignites the packed rooms at the KW Poetry Slam (which she co-founded in 2011), lights up the dance floor at local spots like Club Abstract, and inspires other artists and activists across the region to find – and raise – their own voices. It’s no wonder this fierce advocate for creativity, the environment and the value of community building was named Waterloo Region’s Best Arts Mover and Shaker byCord Community Edition in 2013. 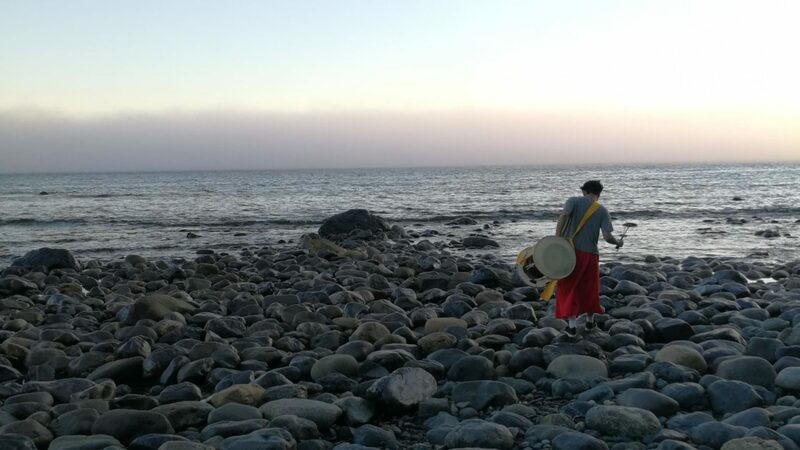 Whether taking an audience on a journey or collaborating with her friends and fellow artists, Lee knows how to meet people where they are and take them where they need to go. 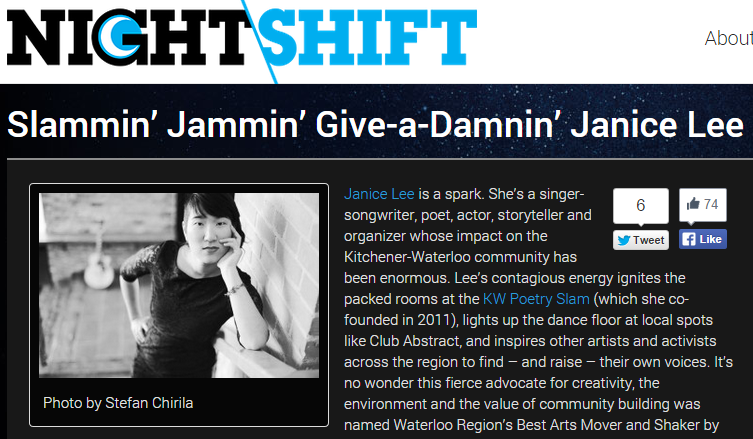 Lee is also the organizing force behind the Poetry Slam Decathlon that will take over the Kitchener-Waterloo Art Gallery after hours during NIGHT\SHIFT 2014 on Saturday, November 1st. The event will feature two teams of five slam poets (from the region and beyond) in a 10-round head-to-head competition, featuring events like haiku death match, compliment rap battle and rhyme-off. Poets will also perform improvised pieces based on visuals from KW|AG’s fabulous fall exhibitions (which include Lynne Cohen’s haunting photography and Jason de Haan’s sculptural transformations).